The riding of Central Nova in Nova Scotia is a riding where strategic voting could make a difference. Its long-time MP, Peter MacKay, is not standing for re-election. 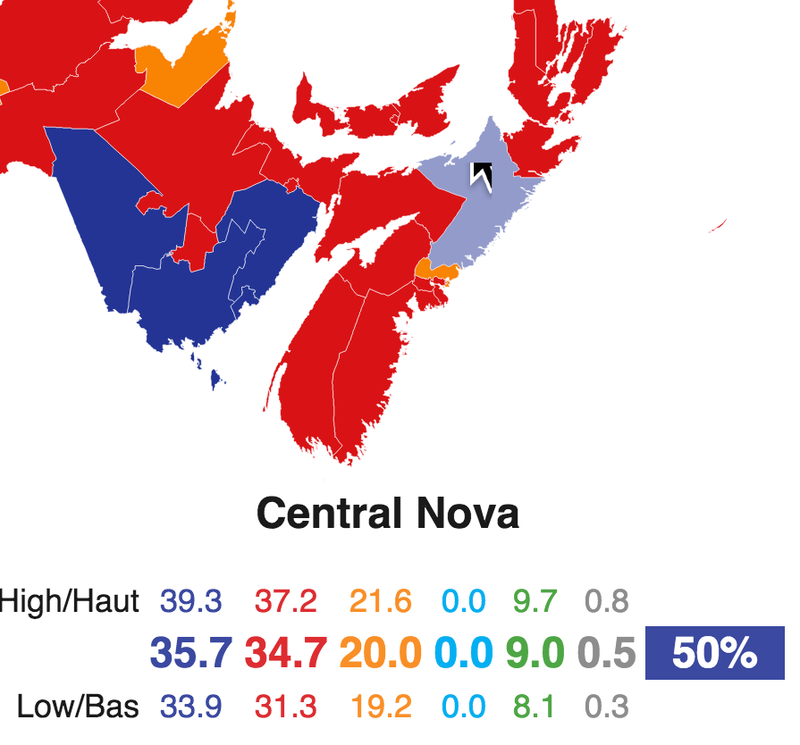 MacKay had won with over 50% of the vote, and his decision to retire from politics hurts the Conservatives in Nova Scotia. How much it has hurt can be seen in the new figures, where Eric Grenier sees 40% as the high estimate for Conservative support. Given that the polls were taken only a few days apart, but have quite different results, the results should probably be interpreted as a sign of Conservative vulnerability rather than a basis for confidence. Nevertheless, there is every possibility that Central Nova is a riding that is ripe for the picking if a handful of NDP and Green voters support the Liberals.